The exam was conducted on July 16 from 11 am to 1 pm and the result were declared on July 27. Candidates were also given a chance to raise objections to the preliminary answer keys released latest by July 22. 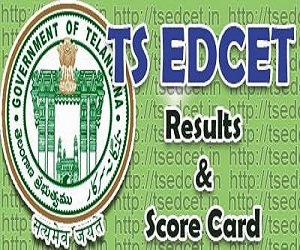 Osmania University conducted the exam on behalf of the Telangana State Council of Higher Education (TSCHE). The exam was held for admission in to BEd (two years) regular course in the colleges of education in Telangana State for the academic year 2017-2018. The test was conducted for five subjects including mathematics, physical science, biological science, social studies and English.